Berklee College of Music was one of several schools that Elise Hayes applied to. Temple University, University of New Hampshire, even a few universities in New York – but none of them had a contemporary music program like Berklee. Hayes wasn’t looking to study classic music or musical theater. She wanted to immerse herself in current music and the current music business, so immerse herself she did. After graduating, she knew that her final destination was Nashville. It was the perfect blend of living affordably, making sure the bills were paid and honing in on her songwriting. The songwriting community of Nashville was exactly what she was looking for, and she’s called it home ever since. She learned right away that she had to be open to new opportunities and however she could get her name out there, she was going to try. Not only was she writing and performing for herself, but she was writing and performing for others. Her first TV placement was on Grey’s Anatomy through a song she co-wrote with folk singer Jill Andrews. She was hired as a backup singer and keyboard player for country artist Carly Pearce, who was touring with Blake Shelton. However, she knew she didn’t want to do that forever. Her latest single, “Float”, is getting radio play on SiriusXM and she is planning on releasing more singles in early 2019. 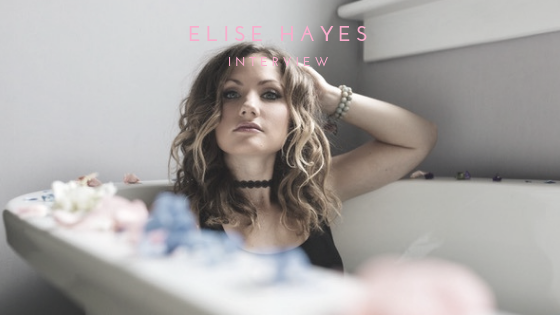 Elise Hayes has come a long way from Berklee College of Music, but her experience and her ability is sure to leave a mark beyond her Nashville songwriting community.